Rancho Mission Viejo consists of a nearly 17,000-acre nature reserve and multiple residential communities. While the Sendero and Gavilan communities have already been developed, the Esencia village is active with new construction. The neighborhoods of Esencia are terraced into west-facing hillsides to afford coastal views and backcountry panoramas. Amenities include the Canyon House – a community social hall with a coffee shop, meeting rooms, a catering kitchen, a large activity room and an open-air courtyard looking over an oak tree preserve with scenic lookouts and multi-use hiking trails. 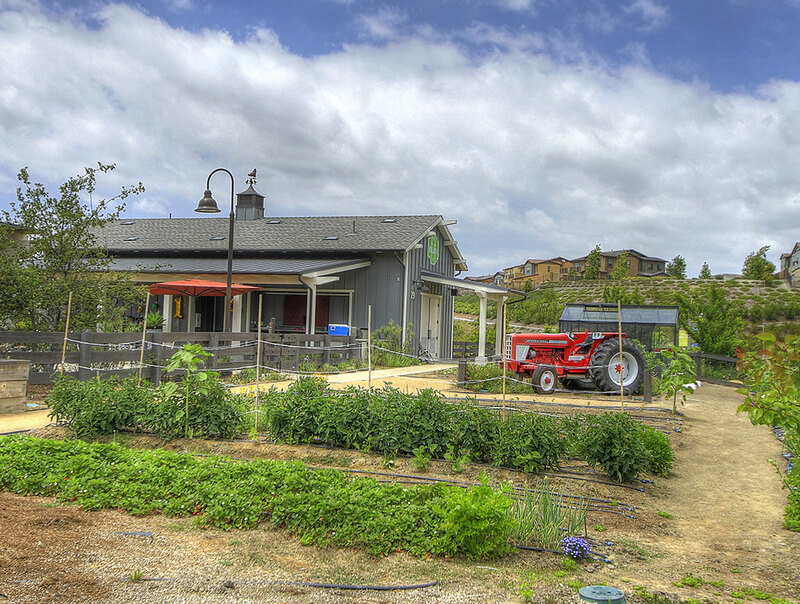 Adjacent to the Canyon House is Esencia Farm, one of three community farms now operating at Sendero and Esencia.